At its core this movie doesn’t stray (pun intended) from Wes Anderson’s usual style of narrative: quirky characters, quick dialogue, and quilted settings. Anderson paints a colorful, vibrant world using aspects of stop motion animation to bring a scratchy and ruff (pun intended) aesthetic to a movie that involves a lot of stray dogs and trash. Notably, the dogs’ fur has so much texture that you can almost see yourself petting these canines through the movie screen. Fun fact: the illustrators animated every other frame (instead of every frame), which was what added the extra “texture” to the characters and settings. At the very surface, Isle of Dogs is a fun, heart-warming tale about a boy and his dog reuniting, and the journey they experience together. Who doesn’t love that? Through another lens, one could view this movie as an allegory on disenfranchisement and being the outsider. There are various outsiders in this movie: Chief as a stray, Atari as an orphan, dogs as a group of animals, and Mayor Kobayashi’s seemingly arbitrary dislike of dogs are among them. In the end, everything works out and all groups come together. Isle of Dogs is not without some ruff (not missing out on pun chances!) patches. Noticeably, the movie has some very convenient assumptions and plot devices it employs to allow Anderson to wrap up everything in a neat bow at the end. This leads to a lot of follow-up questions about how certain events happened (a character’s instant technical wizardry? A sudden change of heart at the end?). In addition, there was a noticeable lack of female main characters (both canine and human) with Atari’s main doggy bunch all male-dominated. Except for a minor role from Johansson, Interpreter Nelson (Frances McDormand), Yoko Ono, and Tracy, there were a lot of Y chromosomes here. Speaking of Tracy, the film could have done a better job of incorporating another character into the Atari/dogs vs. Mayor Kobayashi relationship. Some of the principal complaints about Isle of Dogs involved Tracy’s depiction as a “white savior.” While this may have not been intentional by Anderson, it is generally not a good look, especially when Atari falls in love with her after meeting her (thus perpetuating the “exotic foreigner” image). There are other characters who can play Tracy’s role without being white and from the States—especially if this movie is set two decades in the future. There was also the language barrier. From the beginning, the audience is told that all dog speak has been translated to English. Great, very convenient for a movie intended primarily for an English-speaking audience. Pretty much none of the Japanese dialogue is translated via subtitles (except for a few lines at the end), and only periodically through Interpreter Nelson. Okay, cool. The non-translated Japanese is a nice example of how much one can understand even if they can’t grasp the language with visuals and context, and the non-translated lines don’t take away from the movie. However, if the entire movie has been translated from dog speak to English, this should hold true for all human languages, even the American English spoken by Tracy. From the dogs’ point of view, all non-canine language cannot be understood and since the audience is listening to the movie through the ears of dogs, they should not be able to understand Tracy either despite her being a native English speaker. In addition, Tracy speaks only English to Japanese people and is (apparently) understood. Most likely, Anderson just wanted to make things easier for the audience. 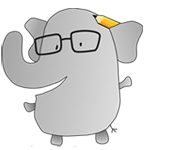 However, to some effect this marginalizes the Japanese characters because they are the only ones who need translators. This seems a little odd as this language barrier makes the Japanese residents the outsiders despite the movie being set in Japan. Ultimately, Anderson does a suitable job of balancing his storytelling style while incorporating and respecting Japanese culture. To his credit, he even had Nomura (the voice of Mayor Kobayashi) join his team as a co-writer to ensure the accuracy and authenticity of Japanese culture depicted in the film. 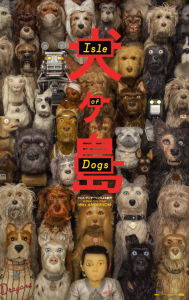 Isle of Dogs is a fun film and a stylistic ode to legendary Japanese director Akira Kurosawa about a boy and man’s best friend that’s full of beautiful visuals and is equally enjoyable for both kids and adults. Isle of Dogs is now playing in North America. It opens in Japan May 25. For more information, visit www.isleofdogsmovie.com and www.foxmovies-jp.com/inugashima.